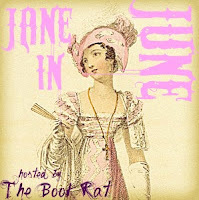 Well, we've come to our very last giveaway from Antique Fashionista for this years Jane in June, and again it's one I've noticed crop up quite a few times in answer to the question "What's your favorite item from the Antique Fashionista shop?" Darcy and Lizzie Bookmark set! I think this set has probably come up more than any other when I've asked "What's your fave?" Everybody loves them some Lizzy/Darcy action. Elizabeth: "Follies and nonsense, whims and inconsistencies do divert me, I own, and I laugh at them whenever I can. " Mr.Darcy: "All this she must possess, and to all this she must yet add something more substantial, in the improvement of her mind by extensive reading." +1 for....Well, since you've already told me your favorite pieces, I'm curious to know which scene(s) you'd like to see turned into an Antique Fashionista creation! The proposal scenes and the Netherfield Ball. Lizzy and Darcy looking at each other over the pianoforte, or Lizzy arriving at Netherfield with her muddy petticoat. thank you for another fabulous giveaway!!! Darcy " not so elegantly dressed, but just as handsome as in his portrait." Darcy after his lake swim. I second marybelle! :) Also, I would like to see the ball at Netherfield and Darcy's first horrid proposal. Thank you! I would like to see the scene in Pride and Prejudice when Darcy proposes to Lizzie. 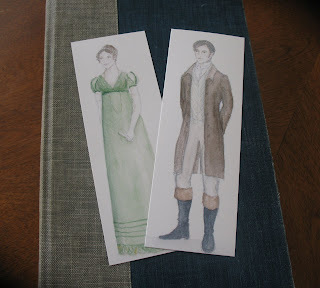 I would love to see Darcy and Elizabeth... To see the love. The scene when Lady Catherine pays a visit to Elizabeth! Does is have to be from Pride and Prejudice? I was thinking of the scene from Emma where she is painting Harriet and Mr. Elton is looking on.